During his final post-legislative session press conference, Otter promised he would give any gubernatorial candidate the chance to see what it’s like on his side of the table when an inmate is executed. While spending two years campaigning for governor in the mid-2000s, overseeing an execution never even entered his mind as a possibility. “I thought about a lot of other things including the great, grand march down the steps and the first dance and I never ever thought that my signature could save a life,” Otter says. He notes he’s already shown his preferred successor, Lieutenant Governor Brad Little, what the process entails. But he says he’s also trying to schedule similar appointments with several other candidates. 12 people are vying to become Idaho’s next governor. The field will be narrowed down to four after the May 15 primary. The longtime Gem State politician also acknowledged some setbacks during a press conference capping his final legislative session Thursday afternoon. Most notably, Otter’s effort to expand healthcare access to tens of thousands of Idahoans fell flat on the House floor twice. Representatives refused to even vote on the bill. That’s because the plan would’ve cost Idaho $17.4 million next year. Opponents argue the move would’ve made Idahoans more dependent on government. Otter says there was no way to go around lawmakers. “Whatever I would have done unilaterally I would’ve still had to come back to the legislature and get the money,” he says. The governor’s plan would’ve offered health insurance subsidies to tens of thousands of the working poor who earn too much money to qualify for Medicaid. Some of Idaho’s sickest residents also would’ve been shifted over to Medicaid coverage. Lawmakers say they intend to bring back similar legislation next year. Despite a defeat on his healthcare plan for a sixth year in a row, Otter says he prefers to focus on the success he's had in 2018. "We made a good run at some things that didn't end up happening, but we also got a lot done that will help people accomplish their own goals for years to come," the Republican governor said. "There have been some setbacks. But I'm not nearly as disappointed about them as I am proud of the work the Legislature and my administration have done together over the past 12 years." Those highlighted accomplishments included passage of a sweeping $225 million tax cut that involved cuts to the state's personal and corporate income rates, investments in education spending that boosted teacher pay and expanding criminal penalties for threats against schools sparked largely due to the national attention on preventing school shootings. 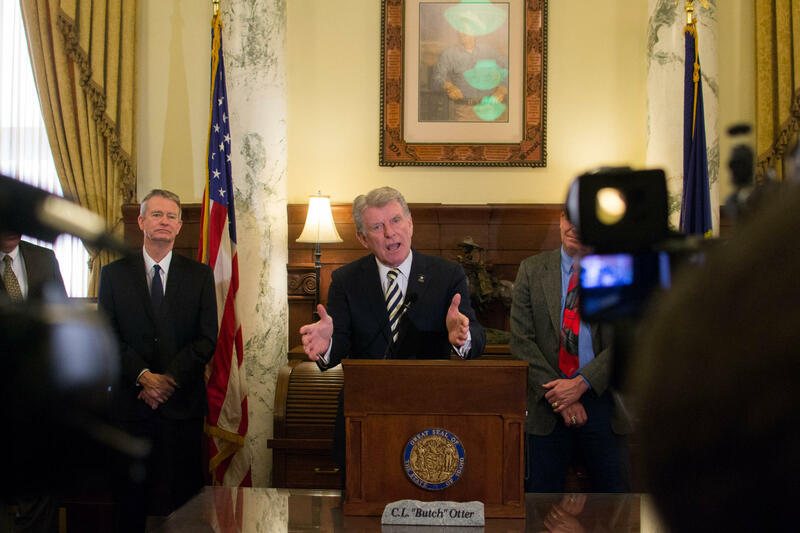 Otter noted that the final bill he signed into law was a $25 million expansion of the new Idaho Child Tax Credit. Lawmakers created the state tax credit earlier this year, but quickly pushed a new bill to bump the credit from $130 to $205 per child. Gov. Butch Otter on Wednesday allowed some of this year's most contentious measures to become law without his signature, allowing lawmakers to officially close out their work for the session without debating whether to override a pending veto.